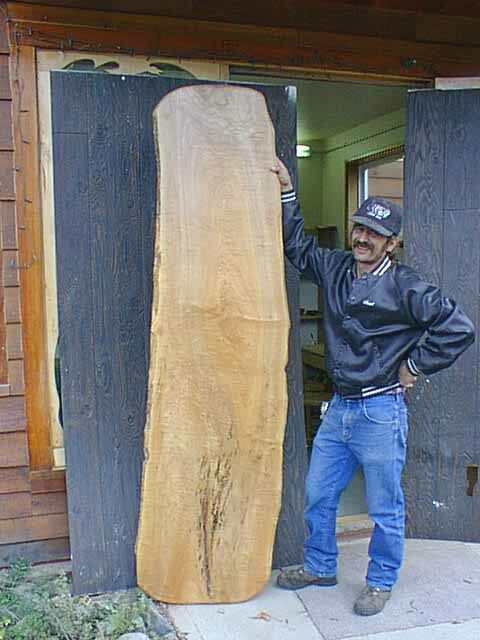 for wood order, put all sizes in inches. Length x width x thickness ÷144 = Bd. ft.
We offer you a couple of ways to buy our wood. All prices before shipping charges. 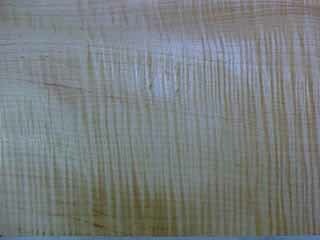 Highly Figured, AA, AAA, consistency in color, creamy white or reddish brown; Dynamic figure throughout board, Curly (fiddleback), 1/8 to 1/4 inch waves, Quilt a blister or pillowy effect (crowded bulges). See a quilted guitar picture. 4/4 to 9/4 (AA) Curl $25.00 bd. ft.
4/4 to 9/4 (AAA) Curl $35.00 bd. ft.
4/4 to 9/4 (AA) Quilt $35.00 bd. ft.
4/4 to 9/4 (AAA) Quilt $50.00 bd. ft.
4/4 to 9/4 (AAA) Curl/Quilt $40.00 bd. ft. This is a combination of both figures very exciting. 4/4 to 9/4 (AAA) Curl with color variation $20.00 bd. ft.
4/4 to 9/4 (AAA) Quilt with color variation $25.00 bd. ft.
4/4 to 8/4 $14.00 bd. ft.
9/4 and 12/4 $14.50 bd. 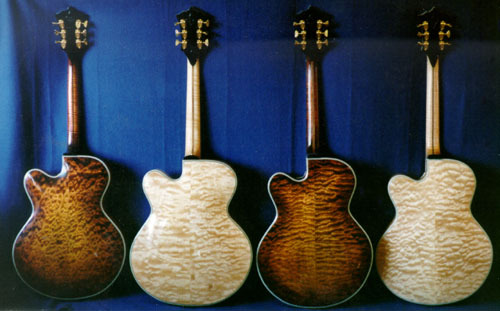 ft.
High Figure Maple Curly, Quilted, Burl 60% figure or better throughout, variation in color mild to dramatic. 4/4 to 8/4 $8.50 bd. ft.
9/4 to 12/4 $9.20 bd. ft.
13/4 and up $9.70 bd. ft.
Curly, Quilted, Burl. Not enough figure to make high grade, but very nice. 30% figure or better throughout, variation in color. 4/4 to 8/4 $4.50 bd. ft.
9/4 to 12/4 $5.50 bd. ft.
Spalted Maple Early or Late excellent color (creamy white, reddish brown, greys, with blackline), Workable boards and blocks. Usually the late has more blackline but lesser structural integrity than early. 4/4 to 8/4 $4.50 bd. ft. $9.20 bd. ft. $14.00 bd. ft.
9/4 to 12/4 $5.50 bd. ft. $9.70 bd. ft. $14.50 bd. ft.
5/4 to 12/4 $4.50 bd. ft. Thicker available - call for quote. 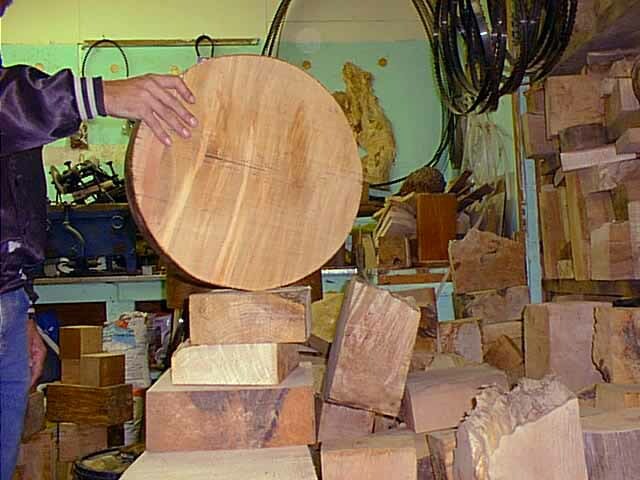 Widths up to 12" are available for most boards, any figure or species in our catalogue. Add $.50 bd. ft. for widths up to 18". For 18" to 24" widths add $1.25 a bd. ft. to the listed price. 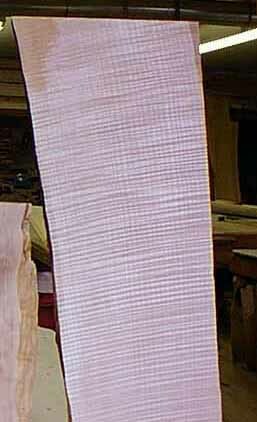 Lengths up to 8 are available for most boards listed above. Ask for quote on wider, longer or thicker boards. Bookmatch Series Available in all grades of maple. Please call or write to find out availability in the size you need. (approximately 25 bd. ft.) of dry figured and spalted maple, varing thickness up to two inches, random width and length for $120.00 for figured and $85.00 for plain. Shipped anywhere in the world, cost of shipping is additional. No pieces under 12" in length and no less than 2" in width. 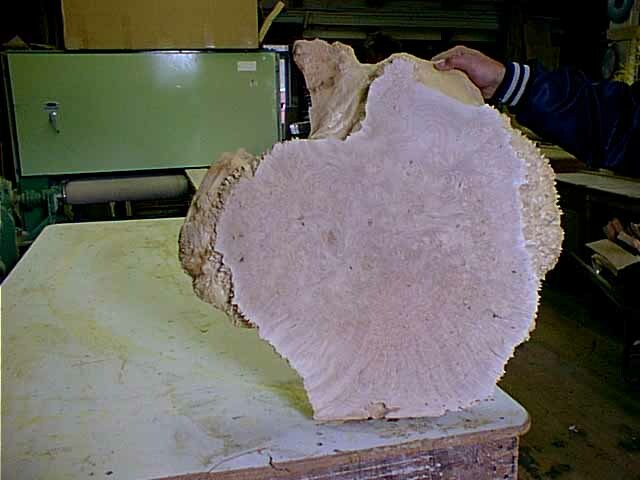 Good figure (Burl, Curly or Quilted), spalted available, live edge available, check free, possible hidden bark pockets. Green $7.00 bd. ft. $11.00 bd. ft.
Dry(14% to 18% moisture content) $8.00 bd. ft. $12.00 bd. ft.
High Figure $10.00 bd. ft. Custom Saw Milling $90 per hour - 1 man. All wood must be free of metal. Customer assumes liability for replacement-of damaged blades. Custom Thickness Sanding - $60 per hr. - one man. Plus handling charges: $6.00 per pkg. 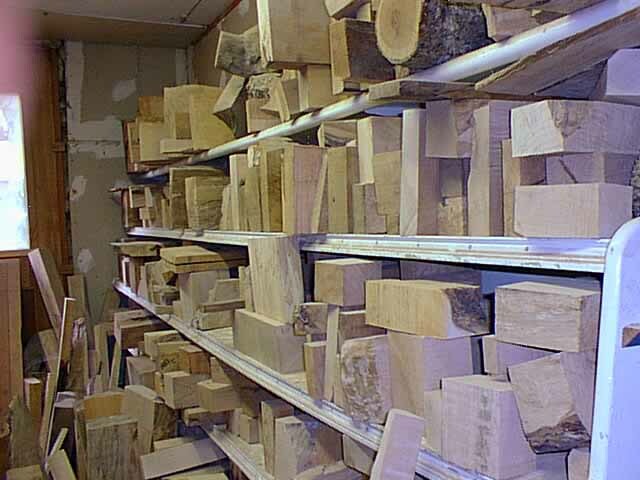 for wood order, put all sizes in inches. Length x width x thickness ÷144 = Bd. ft.